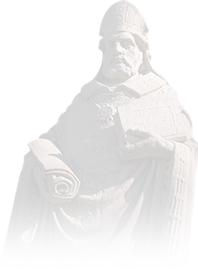 The St. Ambrose University Institutional Review Board (IRB) is established in compliance with Federal regulations to review and approve all research involving human participants. It is the policy of the University that no research conducted under the jurisdiction of the University exposes persons who participate as participants or respondents to unreasonable risks to their health, general well-being, or privacy. Further, it is the policy of the University that no research conducted under its jurisdiction should be contrary to the mission of the institution. The rights and welfare of the individuals involved are adequately protected. The participation of participants is based on freely given informed consent; and the individual is free to withdraw consent and discontinue participation at any time without loss of benefits or other negative consequences. The risks to the participant are reasonable in relation to anticipated benefits to the participant and the importance of the knowledge to be gained as to warrant a decision to allow the participant to accept these risks. Therefore all research activities involving the use of human participants are submitted for prior review by the University Institutional Review Board to (1) ensure that the above conditions are met, and (2) encourage and promote a high level of campus awareness and communication regarding University research projects. Primary responsibility for assuring that the rights and welfare of the individuals involved are protected continues to rest with the principal investigators conducting research involving the use of human participants. This responsibility is shared by others engaged in the conduct of the research. Faculty or staff members who assign or supervise research conducted by students have an obligation to consider carefully whether those students are qualified to safeguard adequately the rights and welfare of participants. Research is defined by federal regulations as "a systematic investigation, including research development, testing and evaluation, designed to develop or contribute to generalizable knowledge" 45 CFR §46.102 (d). The St. Ambrose University IRB requires submission of all activities involving human subjects, whether the activity is regarded as research by the federal definition or if the activity involves the collection of any sensitive information, including but not limited to implications for criminal or civil liability, employability, damage to the subject's financial standing or reputation, or gender identity or sexual preference. Human subjects are defined by federal regulations as living individuals about whom an investigator (whether faculty, staff, or student) conducting research obtains either 1) data through intervention or interaction with the individual, or 2) identifiable private information 45 CFR §46.102 (f). Intervention: both physical procedures by which data are gathered and manipulations of the subject or the subject's environment that are performed for research purposes. Private information: information about behavior that occurs in a context in which an individual can reasonably expect that no observation or recording is taking place, and information which has been provided for specific purposes by an individual and which the individual can reasonably expect will not be made public (for example, a medical record). Private information must be individually identifiable (i.e., the identity of the subject is or may readily be ascertained by the investigator or associated with the information) in order for obtaining the information to constitute research involving human subjects. Investigation: A searching inquiry for facts, or detailed or careful examination. Systematic: Having or involving a prospectively identified approach to the investigation, based on a system, methods, or plans. Designed: The activity has a predetermined purpose and intent. Develop: To form the basis for a future contribution. Generalizable: The data and/or conclusions are intended to apply more broadly beyond the individuals studied or beyond a specific time and/or location, such as to other settings, circumstances, or categories. But is it actually research? • A survey of college students' television watching preferences. • Teaching a different variation of phonics for learning reading, and gathering data to assess the success of the technique. • Testing whether relaxation training reduces pain for individuals with chronic back pain. • Reviewing and compiling information from published sources, as in a term paper. • A subjective comparison of two PowerPoint presentations. • Classroom demonstrations of use of a memory technique. • Shadowing a professional through a day. What Is Considered Research Involving Human Subjects? Then your project falls under the requirement of submission to the Institutional Review Board for Protection of Human Subjects at St. Ambrose University. • Information from clients' files at an agency, school, or medical setting. • Questions on a survey that are not about the person or their opinions. • Recording and analyzing the content of television shows, magazine articles, published books, or published music. • Use of publicly available, compiled, anonymous data sources, such as U.S. census data or stock market prices. • Use of data sources involving elected officials. Research subject to IRB review can be reviewed at two levels. Level 1 includes research development, or related activities that involve no more than minimal risk to participants, or that involves minimal changes to previously approved research during the period of one year or less from the approval date. Minimal risk is understood to mean "that the probability and magnitude of harm or discomfort anticipated in the research are not greater in and of themselves than those ordinarily encountered in daily life or during the performance of routine physical or psychological examinations or tests" 45 CFR §46.102 (i). 2. Surveys, Interviews, Educational Tests, Public Observations (that do not involve children*) and are of minimal risk. * The only research activities involving children that may fall under this level are those involving educational tests or observation of public behavior where the investigators do not participate in the activity being observed. Please see an IRB member for clarification. What Research Does Not Qualify for Level 1 Review? • is greater than "minimal risk" (Federal regulations define "minimal risk" as the probability and magnitude of harm or discomfort anticipated in the research are not greater in and of themselves than those ordinarily encountered in daily life or during the performance of routine physical or psychological examinations or tests). • involves children or adolescents as subjects (less than 18 years old). • involves administration or use of drugs or devices. • involves prisoners as subjects. The Level 1 review procedure may not be used where identification of the subjects and/or their responses would reasonably place them at risk of criminal or civil liability or be damaging to the subjects financial standing, employability, insurability, reputation, or be stigmatizing. Level 2 includes research development, or related activities that involve more than minimal risk to participants, including work that uses deception of participants. 2. All research development or related activities that involve children, adolescents, or prisoners. 6. Collection of data through noninvasive procedures (not involving general anesthesia or sedation) routinely employed in clinical practice, excluding procedures involving x-rays or microwaves (e.g. physical sensors, EEG, ECG, weight measurements, etc.). The principal investigator(s) and faculty sponsor(s) both are responsible for Institutional Review Board policies. 9. Other actions warranted by the specific circumstances surrounding the violation. Members of the Institutional Review Board will address alleged violations of the St. Ambrose University Institutional Review Board policy. The Institutional Review Board will make a determination regarding the need for additional information or further investigation. The Dean and/or Department Head may be copied on all correspondence between the committee and the involved parties. Upon determination that a violation of this policy has occurred, the Institutional Review Board may require that the activity in question be discontinued permanently or until such time corrective action is taken. Any suspension or termination of approval will include a statement of the reasons for the Institutional Review Board's suspension or termination action and the sanctions imposed. These will be sent promptly to the principal investigator and/or faculty sponsor and any other necessary university representative. Any appropriate agencies may also be notified of terminations and/or suspensions of the research. The principal investigator(s) or faculty sponsor(s) who believe that there have been "errors in fact" in relation to decisions made by the Institutional Review Board may appeal those decisions to the St. Ambrose University Vice President for Academic and Student Affairs.